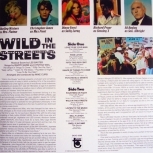 “Wild In The Streets” is a satiric film, where everyone over thirty-five is sent to camps where they must take LSD!!! 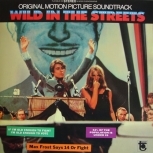 This is the superb groovy, pop/psych soundtrack from the teen exploitation movie from 1968. 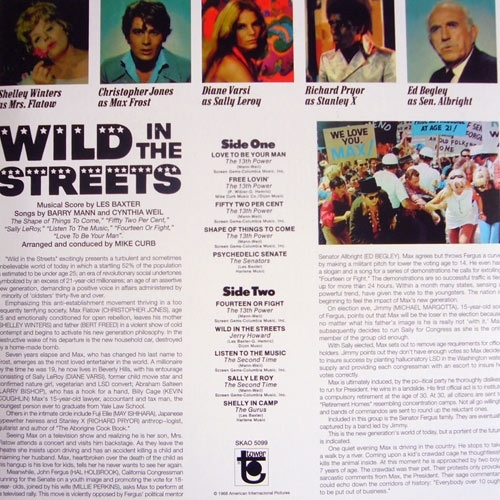 The theme song "Wild In The Streets" and a couple other tunes on this album were composed by the famous soundtrack composer Les Baxter.